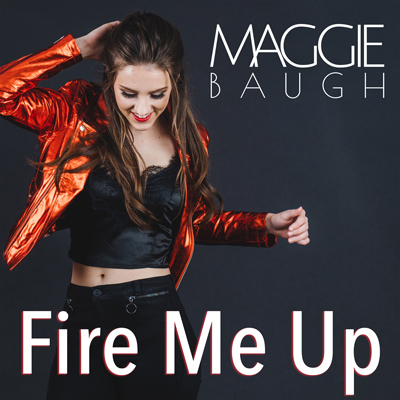 (Nashville, Tennessee…) – March 22, 2019 — Singer, songwriter, and multiinstrumentalist Maggie Baugh has been one of the most promising emerging artists in Country music, and her new single, “Fire Me Up,” is adding fuel to the fire! The Apple Music Country Hot Tracks Playlist has already added the single, which can be heard here. Written by Maggie, Mikei Gray, Steve Lester, and Michael August, “Fire Me Up” is available for streaming and/or download here. She recently shot an acoustic video for “Fire Me Up” that will be released shortly. A Florida native, Maggie Baugh now makes Nashville her home. At 19 years old, she is creating a buzz with her insightful lyrics, earnest delivery, and high-energy live shows. Her earlier “Catch Me” single won the hearts of thousands of fans, and the official video was viewed by millions on CMT and other outlets. Maggie recently performed as part of WIRK’s Rib Round Up featuring Kip Moore, Chase Rice, Morgan Wallen, Chris Lane, and Riley Green. On Monday, March 18, 2019, she was the featured entertainment at The T.J. Martell Foundation’s Randi Rahm’s Fall Evolution Fashion show in New York city at The Empire Hotel. Maggie returns to Kernersville, NC this year as the headliner of the Kernersville Spring Folly on May 4, 2019, where last year she opened for Sundance Head. This is first of many festivals she will headline this year. her back as our headliner”.